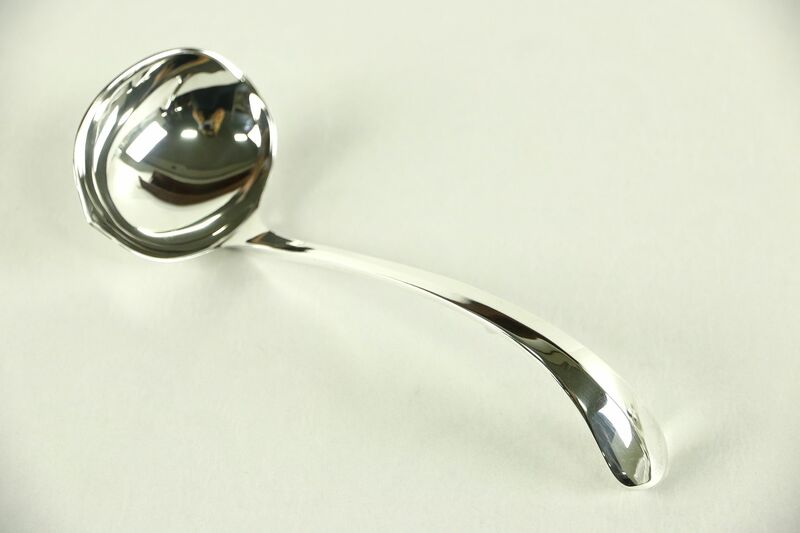 An English silverplate sauce or gravy ladle from the 1940's is hallmarked and in beautiful condition. This heavy weight vintage serving piece measures 7 1/4" long. See 7 photosthat enlarge to full screen size.